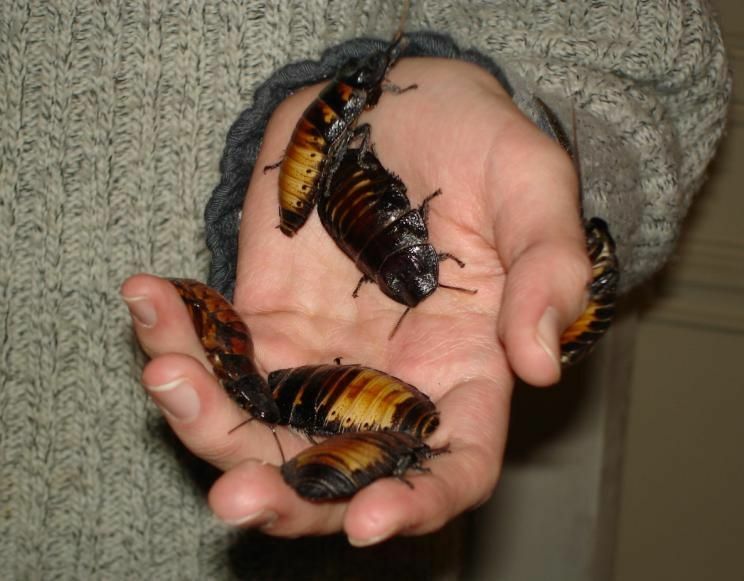 Photo of a hand holding huge cockroaches. Madagascar hissing cockroaches like these are often kept as pets. The insects are one of the few cockroach species that cannot fly, and most pet-owners keep their cockroaches in fish tanks or terrariums. Many areas require an exotic-pet license for Madagascar hissing cockroaches. Photograph by Magnus Manske, courtesy Wikimedia. This file is licensed under the Creative Commons Attribution-Share Alike 3.0 Unported license.